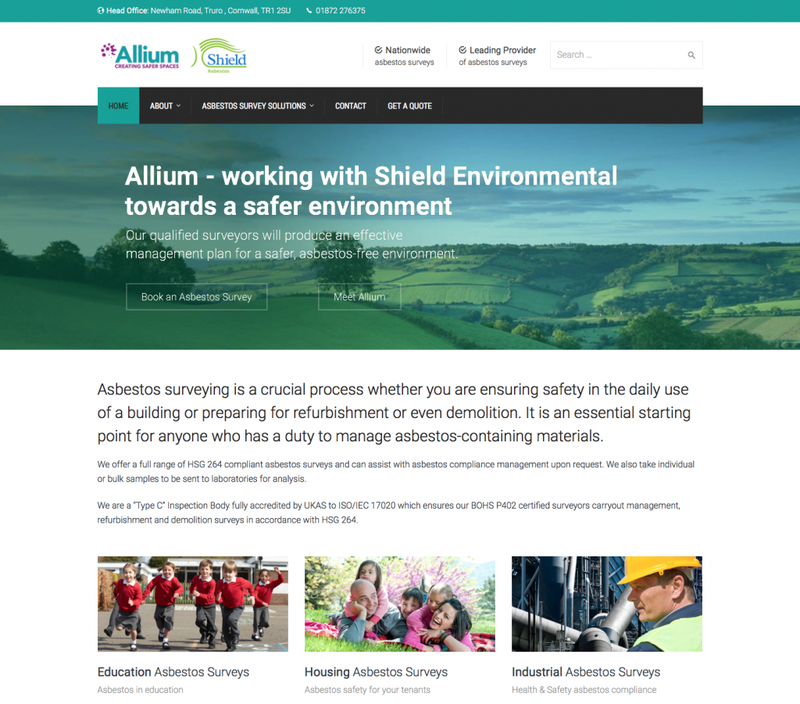 We’re pleased to announce the launch of Allium Environmental Ltd‘s brand new website and branding, designed and created by the Marketing team at The Peloton. Asbestos surveys are a crucial process whether you are ensuring safety in the daily use of a building or preparing for refurbishment or even demolition. It is an essential starting point for anyone who has a duty to manage asbestos-containing materials. Allium offer a full range of HSG 264 compliant asbestos surveys and can assist with asbestos compliance management upon request. They also take individual or bulk samples to be sent to laboratories for analysis. The Peloton helped the Directors of Allium to create a logo and identity for this new project. We will also be helping Allium with their launch of the brand into the market.